Last night I made Christmas dinner for a friend of mine. It was probably about 95% clean and healthy, which is pretty darned good to my thinking! I haven't made Christmas dinner in a long time--I don't have the space in my apartment unfortunately to host a dinner, so friends over for dinner tend to take the form of "friend" over for dinner instead. That's OK--so long as I get to cook! Anyway, I wanted to make a dinner that was also more on the "old fashioned" side. Not figgy pudding or anything, but something that people may have made back when there weren't processed foods, when marshmallows weren't considered a topping for vegetables, and food actually was good for the body, instead of harmful. 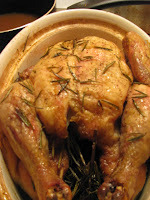 So, what I made was a naturally-raised chicken, which I stuffed with fresh rosemary and sage, and a hot lemon (which I boiled whole, with the potatoes before putting the potatoes to roast with some rosemary in the oven) which I pierced. Normally I cook my chickens breast-side-down, so the meat is really juicy and tender, because I don't eat the skin anyway, but I thought maybe my friend would like some crispy skin, so I made it in the conventional way. I sprayed the skin with some olive oil, and then used some sea salt, fresh-ground black pepper, and some fresh rosemary. So simple but also SO delicious and tender. I made a roasted vegetable pot-pie, using the vegetables shown in the image above right. I also roasted a whole head of garlic, and added it with the vegetables, which you can see on the middle right edge of the image. 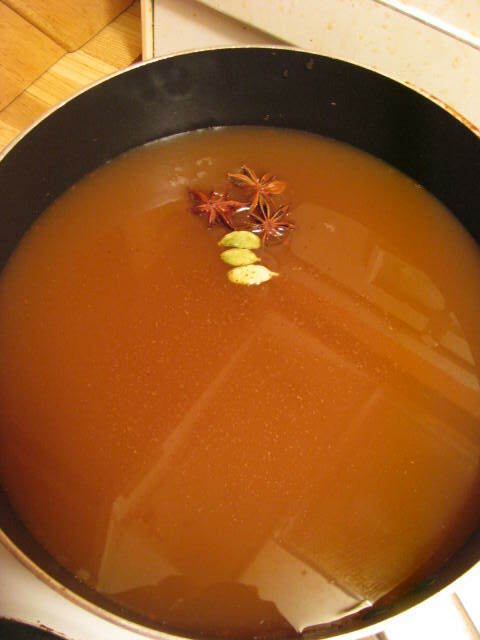 I had apple cider mulling on the stove when my friend walked in. As soon as she entered, she exclaimed how good my home smelled! I used the Jamie Olive recipe the link is to, but didn't add pomegranate seeds, and of course no sugar. It's quite sweet enough! All of it was totally delicious, and almost totally clean! Amazing! We each have another serving of Christmas dinner to enjoy tonight, and I'll make chicken stock out of the leftover bones. So the joy just keeps coming! Spray aluminum foil with olive oil. Place chunks of vegetables on it, and sprinkle again with olive oil, and sea salt. 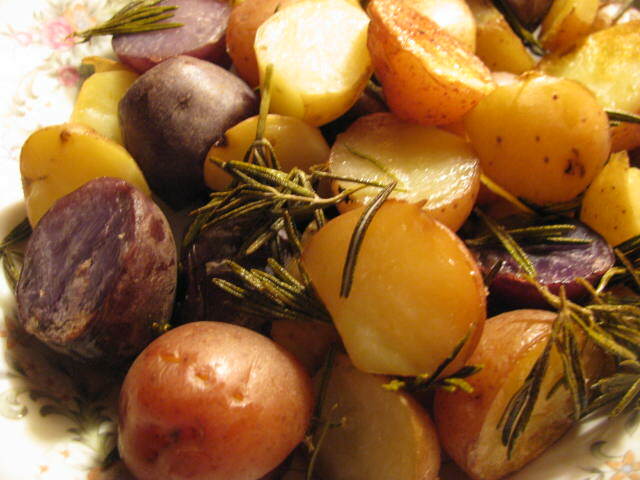 Optional—roast with fresh rosemary. Roast root vegetables, potatoes and garlic, until about halfway done. In a medium (or large, whatever you need) combine 1 cup chicken stock with fresh thyme, lemon juice, salt and pepper, nutritional yeast and roasted garlic, and simmer for a few minutes. Add the roasted vegetables. In a small bowl, dissolve 2 tbsp arrowroot powder or soft whole wheat pastry flower. Add to pot, stirring until combined. Simmer over medium heat until it begins to thicken. Slowly add in 1 cup 1% milk, then nutmeg. Simmer on medium-low heat for a few moments. Using a metal sieve and a bowl, drain some of the sauce from the veggie mixture, and sauce set aside. This will allow the veggies to be firmer, and you can use the sauce as a gravy!! Pour veggies into a baking dish. Heat at 375F until heated through. 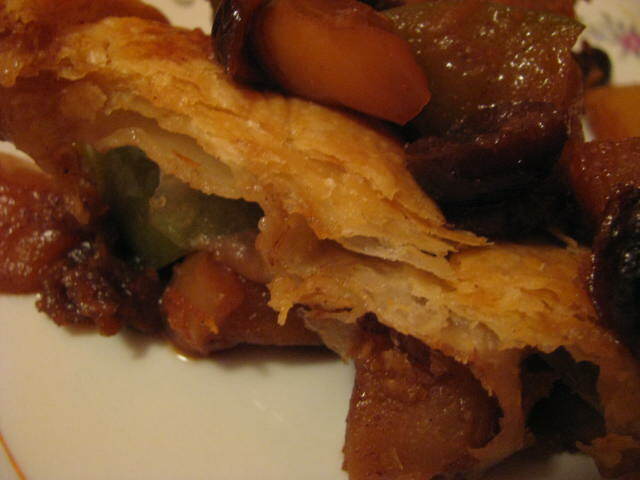 If using pasty, cook until the pasty is a lovely golden brown. Simmer all ingredients in a saucepan or pot for a few minutes to let the flavours meld. Pour into a serving dish. If you're adding pastry, bake at 375F until the pastry is golden brown.